With a power-packed combination of comfort and safety features, these Chippewa Men's 73050 Waterproof Insulated Steel Toe EH Boots are a great choice for tough working people everywhere. Black, oiled, waterproof leather uppers make these rugged Chippewa boots co ... (see full details) (see specifications) #CHP73050. With a power-packed combination of comfort and safety features, these Chippewa Men's 73050 Waterproof Insulated Steel Toe EH Boots are a great choice for tough working people everywhere. Black, oiled, waterproof leather uppers make these rugged Chippewa boots comfortable, protective, and ready for a hard day's work. The tall, lace-up design features pull-tabs for easy on and off, and the yellow Chippewa logo is included for brand pride. Underfoot, you'll find reliable, Vibram Tacoma one-piece yellow plug outsoles for slip- and oil-resistant grip on a variety of terrains. The men's boots are ASTM rated electrical hazard-resistance, as well to guarding you against shock. Goodyear leather Welt construction attaches the leather uppers to the rubber soles. Stitched rather than glued, Goodyear welted boots are strong and durable for long-wearing performance. They're fully repairable, too, adding years of added life. ASTM-approved steel toes offer protection against impacts, falling objects, and other jobsite hazards. You're sure to love the brushed Ruby nylex lining that you'll find on the inside of the steel toe boots. It's soft and comfortable and even wicks away moisture for a dry, easy fit. Cold days will be easy on your feet thanks to 400 grams of 3M Thinsulate Ultra insulation. Much thinner and lighter than traditional materials, Thinsulate delivers outstanding cold-weather protection without a lot of added weight or bulk. Chip-A-Tex waterproof booties keep moisture from getting to your feet for unbeatable waterproof wear. Cushioned, orthotic Texon insoles offer outstanding comfort for long days on your feet. They're even removable for easy care. Sturdy steel shanks and 4 iron rubber/6 iron robus combination midsoles provide a solid platform for your feet. That means great arch support and stability for improved control and function during work tasks. Finish off these waterproof boots with some good old non-tarnishable, antique brass hardware and some heavy duty waxed Sta-tied laces, and your feet will be secured and protected in no time. The Chippewa Men's 73050 Steel Toe Waterproof Insulated Boots are ready to serve you, and they're available right here at Working Person's Store. boots, they really know the working man! They also make these boots for women! They've been in business a long time, and The Working Person's Store has a great selection! This is my fifth pair of Chippewa boots never short of the best boot ever made. No blisters, pain or discomfort just great fit, great traction, water tight, great looks and great value. Keep up the good work. 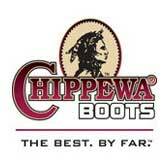 Chippewa Boots: Men's Waterproof Insulated 73050 Steel Toe Work Boots is being added to your cart.